It is November and we are finally finding our homeschool groove. This homeschool groove seems to be ever-changing but right now we are on a roll. 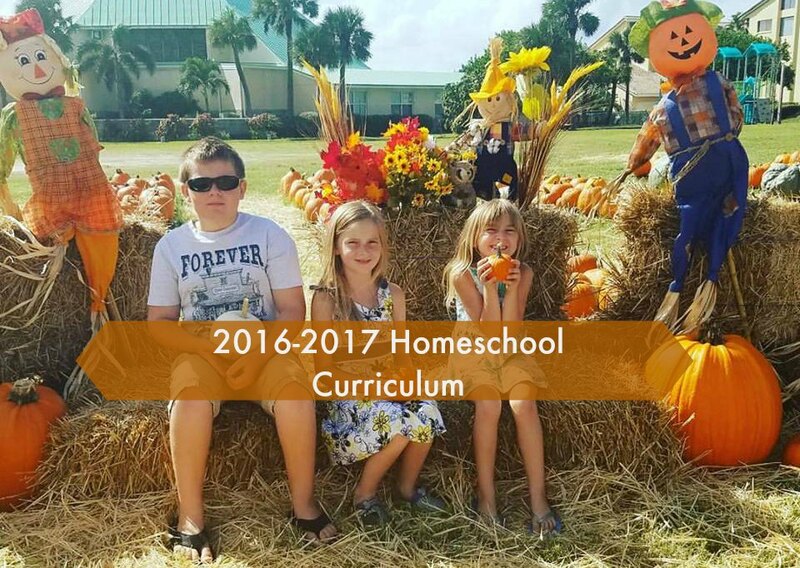 Last night I realized that I never posted our 2016-2017 homeschool curriculum. I enjoy writing these posts because they serve as a reference for years to come. These posts are also handy for future reflection. I enjoy reading how other families are learning in their home so I also share these posts with the thought that it may serve as a resource for another family. 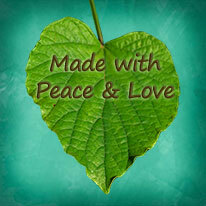 We are relaxed eclectic homeschoolers driven by the interests of the kids. This year we have a first, third, and fifth grader in our home. 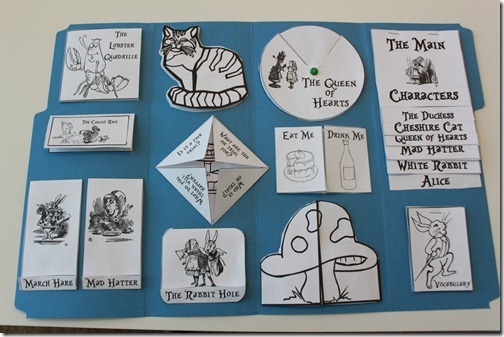 I do not purchase a boxed curriculum instead I put one together custom-made for my kids. Planning at times can be tedious but the time I put into it pays off in the end. Last year was the first year the all three kids did their own separate science and history. We are NOT doing that again anytime soon. It was way more time-consuming and it seems that they have way more fun when they are learning together. While learning together they can all take in the same information then apply it in a way that interests them and is on their learning level. I always say that this is our journey and what is working for us now may not work for you. Heck, our 2016-2017 homeschool curriculum may not work for us in a few weeks, months, or years! However, for right now this is what is working for us…. This post contains affiliate links. Any purchase made through these links cost you nothing yet assist me in stocking our bookshelves. Math is an individual subject in our home. The older kids enjoy giving a helping hand to their siblings and they all enjoy showing off their new skills to one another. Audrey is using Horizons 1. Alex and Ava used Horizons as well, they now use Teaching Textbooks. Ava completed Horizons 1 then went on to Teaching Textbooks 3 with no problems at all, I imagine that Audrey will do the same. Ava is TT4 and Alex is finishing TT5. Horizons Math is workbook based and Teaching Textbooks is computer based. Alex and Ava really enjoy Teaching Textbooks. I sit with them as they watch the lecture, which helps me when I need to re-learn a concept, then they complete the lesson. If they are having difficulty with a concept I find ways to supplement through tangible problems, computer, or any other means that will work. Both Ava and Audrey ask to work on the computer on Math Seeds, an online interactive learning program. Alex does a bunch of independent reading and that makes me very happy. We are working on his writing skills and creative side really shines through writing. Ava still works in Explode the Code workbooks but is quickly becoming a fluent reader. I have never rushed my kids to read, which has been difficult at times, but I find that it pays off with children who enjoy reading with no pressure applied. Alex was a very fluent reader by 8 and I feel Ava will follow in his footsteps. Ava loves to write stories independently, she creates her own books frequently. Audrey wants to read in a very big way. I imagine that she will be a fluent reader at an earlier age than her siblings. I am not sure if this is just her nature or if she wants it so badly because she sees Alex and Ava reading. She loves “paper-sheets” and is working in Primary Phonics and Explode the Code workbooks. She reads Bob Books over and over and over. 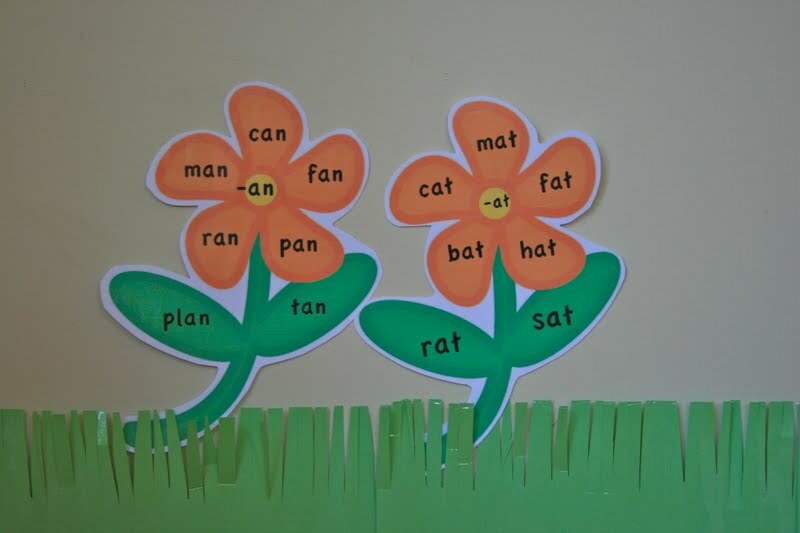 Audrey also loves the Ready 2 Read activities from The Moffatt Girls, they are fun paper-sheets and she is growing a fabulous word family garden and sight word caterpillar. She also enjoys writing letters to friends. We all enjoy reading aloud together. Even though Alex and Ava can sit down and read a book to themselves we really enjoy sitting together and enjoying a story together. Currently, we are reading abridged versions of classics. We just finished 20,000 Leagues Under the Sea and have begun Dr. Doolittle. In addition to reading aloud we listen to audio books while we are out and about. We listened to the entire Little House series last year and are currently listening to Rick Riorden’s Percy Jackson series, we all love doing this. When we are almost to our driveway I often get requests to drive around the block so they can hear just a bit more. We love learning through living books. This year we are beginning our adventure with the Sassafras twins. 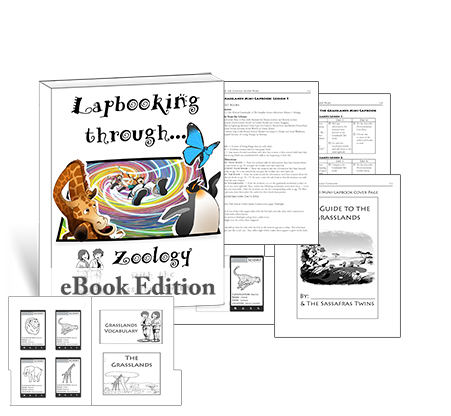 We will begin our journey with the twins learning about Zoology. Ava and Audrey will work through the lapbook while Alex works through the logbook. They are all three really enjoying reading about these adventures and learning along the way. We FINALLY finished our American History unit, it took several years but we all learned more than I could have imagined we would. This year was are going back, WAY back, to ancient civilizations using History Odyssey and Story of the World. We enjoy reading all of the stories and the activities are beyond fun while reinforcing what we are learning about. We built ziggurats out of cereal boxes, then sugar cubes, and Alex has a history world in Minecraft where he creates things that he has learned about. I think that we will really enjoy discovering our world’s history together, I am really excited about it. So, that is our 2016-2017 homeschool curriculum. This is the basics of it, of course there are many extra’s thrown in there. We have homeschool PE and art, park days, marine munchkins classes, piano, ballet, girl scouts, fishing adventures, and so much more. This homeschooling thing is working out great for us, I wouldn’t have it any other way! This Mama Needs Some Deschooling!